THE IVORY CONSORT, founded and directed by Jay Elfenbein, is an ensemble that specializes in medieval music performed in an exciting and historically informed manner. For over ten years, they have brought ancient music to life on stage and over the radio with stunning clarity and brilliant improvisation. 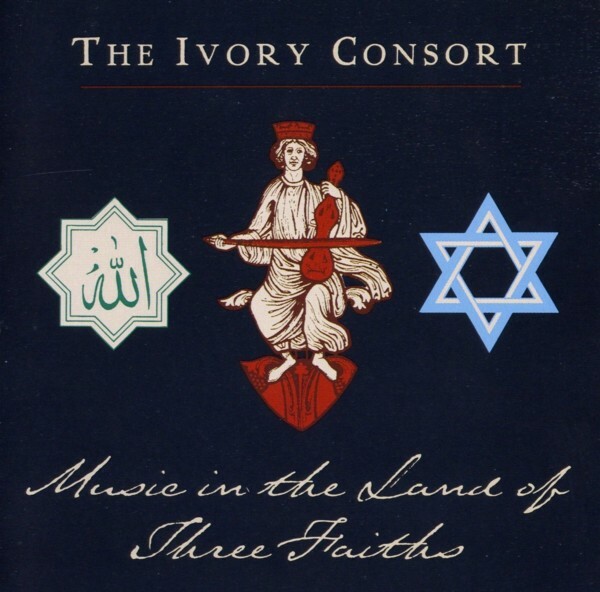 The Music in the Land of Three Faiths program presents a fascinating mosaic of songs from the Golden Age of Spain, when Jews, Muslims and Christians forged a common musical language. 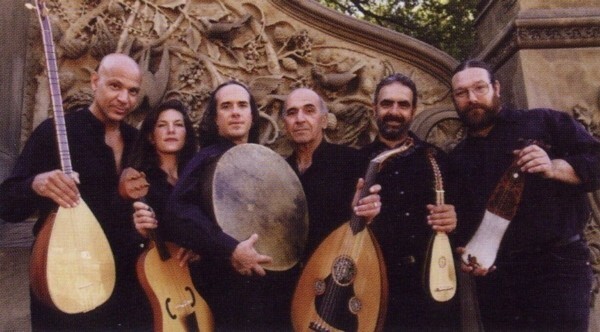 The program features 10th through 13th century songs in Ladino, Hebrew, Arabic, Galician-Portuguese, Catalan and Latin, and provides a historical context for the intermingling of cultures that took place before the 1492 Expulsion. Our deepest gratitude to Margo, George, Rex, Dennis, Jim, Gerard and Jay for sharing their musical souls (and chops) to this recording. To Mary for her never less than brilliant cover design, to Brigitte for her visual expertise. to Frank for photos that make us all look so much better than we do, to Howard for making the editing and mastering process so painless, to the recording team at Systems2, and in particular to Joe Marciano who made the recording studio feel like our living room, to the Music Connection team for their manufacturing skills and flexibility and to Thia for her unfailing energy and enthusiasm. 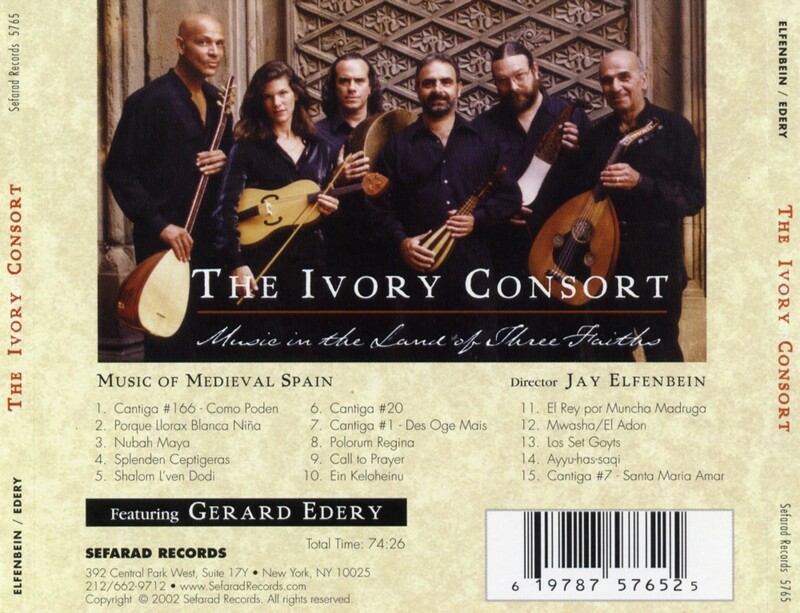 "The Ivory Consort acknowledges the generous loan of the Early Music Foundation's vielle for this recoding." Since Roman times there has been evidence of Jews in the Iberian Peninsula, which the Jews knew from the time of the writing of the Torah as "Sefarad". In the year 589 the ruling Visigoths made Christianity the official state religion. These new Christians forced thousands of Jews to leave the Iberian Peninsula. As a result, those Jews who remained behind viewed the Islamic conquest of Spain, known to the Moors (Arabs) as "Al-Andalus," or Andalusia, in the year 711 more as liberation than threat. In the Muslim state order, Jews had the opportunity to rise to high positions in the government and administration. The Jewish communities in Andalusia, which comprised all but certain portions of northern Spain, were therefore strongly linked with the Muslim emirate and especially with the caliphate of Cordoba. Jews played an important role in medieval Andalusia as mediators between Arab and Christian culture, as they had and would continue to do in the East. They also were highly acclaimed as doctors, philosophers, and translators, as well as musicians. According to Arab scholar Al-Tifasi (1184-1253), the songs of the earliest Andalusian people were either in the style of the Christians or that of the Arab camel drivers. At least some of these songs were already in Arabic, while many of the melodies to which they were sung were Christian. Al-Tifasi wrote: "Ibn Bajja [d. 1139] combined songs of the Christians with those of the East, thereby inventing a style found only in Andalus, toward which the temperament of its people inclined, so that they rejected all others." 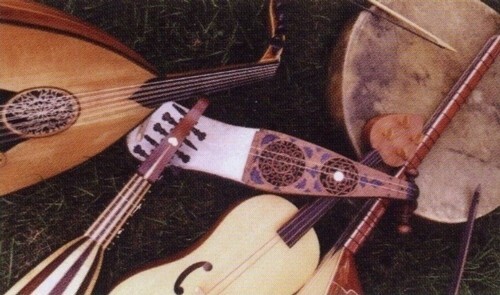 The Arabic music first transplanted to Andalusia had deep Persian roots, but soon began creating and sharing innovations such as the muwashah, a song form used by Jews, Christians and Arabs, unique to Andalusia. The cantiga (Galician-Portuguese for song) is the result of cross-fertilization. In the late eleventh century the beginnings of the Reconquisto (Christian reconquest of Andalusia) helped to encourage pilgrimages to places like Santiago de Compostela, one of the largest cities in the Christian north and the cathedral at Monsterrat, where the crowds were often huge and unruly. In order to dissuade the pilgrims from singing their "profane" songs, these same tunes were set to new religious lyrics, and later collected in the famous Llibre Vermell (14th cent.). The Cantigas de Santa Maria were compiled between 1264 and 1284 at the court of the Castilian monarch Alfonso X, el Sabio ("the Learned"). They are mostly narrative, and their texts tend to adopt the formal features of the Andalusian zajal. Although composed in the Castilian court and recorded using the neumes of Latin liturgical chant, the lyrics are in the Romance language, in keeping with the king's preference for that language in his own secular poetry. Along with Christians, Arabs and Jews played an important role at the Castilian court and most likely in the performance of the Cantigas. The manuscripts of the Canitgas have illuminations that portray Jewish and Moorish musicians and singers among the Christians. The private musical life of the Sephardic Jews, which like every aspect of their life was necessarily separated to a certain degree from the mainstream culture, maintained a dual and relatively divided repertoire: 1) sacred, sung in Hebrew, which followed the Jewish liturgical calendar, and 2) secular, consisting of songs from their daily life, each relating to some aspect of the life cycle (birth, childhood, courting, marriage, death, etc. ), usually sung in the vernacular, Judezmo (Ladino) and more strongly influenced by Christian and Arabic styles. As the Reconquista of Spain took hold during the 14th century, the relatively harmonious cohabitation of Spanish Christians, Jews and Muslims was brought to an end. The pogroms and persecutions of 1391 led to mass conversions of Jews and Muslims, and the eventual almost total exodus of both by 1492 from Iberia. Nevertheless, Al-Andalus as a music and culture has survived to this very day in North Africa where, in Morocco, music that is a direct descendant from that played in Andalusia is still widely performed. The Diaspora of the Sephardim spread the uniquely colorful music of Ladino culture around the world and continues to be performed and enjoyed by thousands.